The word motherhood means many things to different women, all defined by our individual experiences. The journey from conception to birth is joyous, life changing, and can be very stressful. Combined with the benefits of globalization which has not only expanded our views of the world but also, paved the way for family members to live in different countries or even states, the need for connection is ever more prevalent. Connecting the experiences and sharing the trade secrets of motherhood is what the MommyMaiDD® brand is all about. It is a brand targeting millennial parents, parents that are eager to learn and grow whether it’s your first child or fourth. 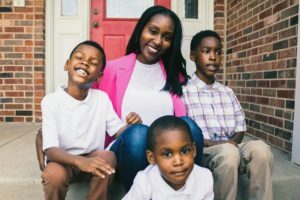 As a mother of three sweet and handsome boys, Ericka has a great understanding of the motherhood experience. MommyMaiDD offers awesome bags filled with awesome goodies and products such as pregnancy journals, casting kits, Bellie bands, creams etc. ; every stage of your pregnancy is covered with everything you will need. Our favorite is The Stork Bag. The Stork Bag is a reusable subscription bag that covers the needs of the mother during each trimester containing some of the best products on the market. You get everything you need without leaving the comfort of your home, and wearing pajamas that are driving your spouse or partner crazy. And after your cutie has arrived safe and healthy, The PostBump Bag is available and filled with goodies that will help you during this new phase of your life when you are happy, tired and probably forgetting to take baths some days. Ericka is a #Girlboss! 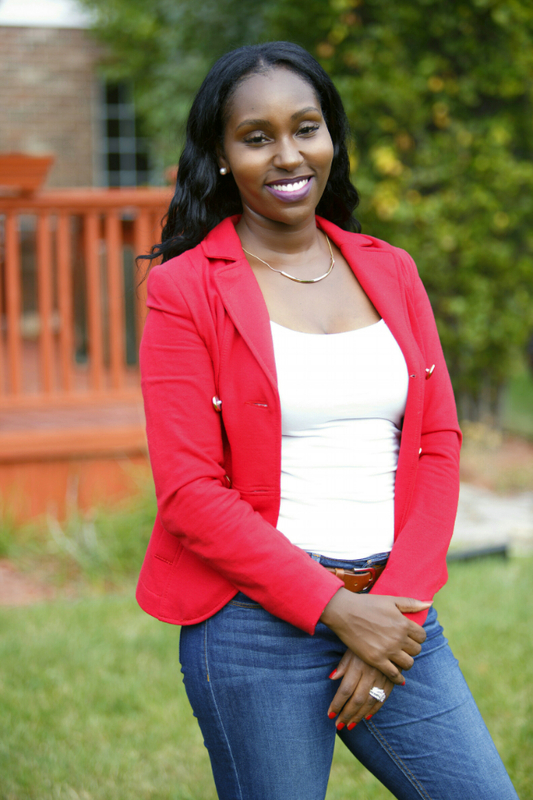 Here, she shares her experience as an entrepreneur! 1. Tell us your story. What prompted you to start MommyMaiDD and its related brands The Stork Bag, The PostBump Bag, and MommyTummys? I am a wife and mom of 3 little boys. I stated my first company, MommyMaiDD in 2012 because my family was extremely busy doing everything but spending time together and I was always exhausted. Initially, MommyMaiDD was set up to be a domestic helper service that connected parents with helpers but after being riddled with challenges, I decided to move in a different direction. In 2014, The Stork Bag was born out of another personal need. My friend who lived hundreds of miles away, was pregnant for the first time and needed some relief and suggestions in dealing with early pregnancy woes. I went searching for a thoughtful care package online but came up short so I created a small care package that consisted of some of my favorite pregnancy items and sent it out to her, she loved it and I had an idea! 6 weeks later after very minimal research, I cold-launched The Stork Bag and gave myself a quantified goal. Once I met that goal in a shorter amount of time than I anticipated, I knew I had something. Since 2014, I’ve been adding and modifying The Stork Bag as we grow. One of the 1st additions was the PostBump Bag, which is our 4th trimester Stork Bag that covers the new mom’s postpartum period. We’ve since launched 6 other Stork Bag branded products including 2 published journals (that I authored). MommyTummys was one of those “we’re here so lets dabble in everything” type ideas. We figured since we’re already in the maternity/prenatal space, creating a maternity line seemed to be the next step of growing into a pioneer brand within our community. MommyTummys is still in the first stages of development although it is launched. 2. Give us a sense of what it took to build your brands from the ground up. How did you go about getting funding/investors, and overcoming the huge financial hurdle of starting a product-based business? What advice do you have for others when facing the same hurdles? You know, this is probably one of the most ongoing challenges we face now more than ever because we’re growing quickly. It’s time to scale up and with that usually comes greater financial investments. Up until now, The Stork Bag has been self-funded. I’ve made risky financial decisions that most aren’t willing to make but to me, it only makes sense to invest greatly into something that will be greater than I can imagine. I’m extremely scrappy when it comes to building this business and in my opinion, as a business woman starting from the ground up, you have to be. There were times that I second guessed my decision to invest such a great amount of my family’s savings into my business but with the support of my husband, I went for it and 8 times out of 10 it was the right decision. Don’t get me wrong, I’ve faced many challenges as a business owner in this field but without risks the reward is lessened. My advice to anyone looking to start their business is to take it seriously! From the beginning, take it seriously, I often times talk to women who are aspiring entrepreneurs and they express the desire to start but not until they “get their money right or find investors” my question to them is when will that time be? How can you approach someone (an investor) asking for money for your great idea when you don’t believe in it enough to invest yourself? Put it out there, just do it. If it works, keep doing it, if it doesn’t, move around a little and find what works but never give up and stop procrastinating. Lastly, finding investors can be tricky but there are many firms out there that invest in companies ran by those who look different from the typical founders Silicone Valley looks for. The most challenging aspect in my particular business was product development, when I first started out most companies didn’t want to be apart of what I was doing, I think they didn’t see the reward in it for them. I remember going to local maternity stores and buying products for my bags myself. 4. As a service and product-based business, what is your goal for MommyMaiDD (Can you use ‘The Stork Bag’ instead of ‘MommymaiDD’?) customers? My goal is to not only be a trusted, go-to brand but to also build a dedicated community for our customers. We’re stepping away from the stagnation of just a product brand and modifying the concept of a lifestyle parenting brand. The Stork Bag will be a household name by 2019! 5. You are #Blackgirlmagic! How do you stay motivated and rejuvenated to run your brands? Meditations, vacations and unplugging! I think the idea of always being busy is so appealing nowadays but I believe that everything should be done in moderation with gratitude breaks here and there. In order to stay motivated and rejuvenated, I have to step away sometimes to gather my thoughts and put things into perspective. Meditation is key; it helps me stay grounded and thankful. Gratitude breaks helps me appreciate the smalls wins, and constant goal monitoring ensures that I don’t sway away from the bigger picture. I’d like my brand to become a household name. The Stork Bag will be the 1st thing that pops in the minds of consumers all over the world when they hear that someone is pregnant! Freedom. I have the freedom to move how I want and when I want. I also really enjoy being able to serve women during such a life-changing time in their lives. To me, that’s priceless. Florunsho Alakija. I’d like to pick her brain a little. I admire her public journey and I’d like to explore more of what’s not shown. 3. What’s your overarching vision for millennial parents? I envision millennial parents utilizing technology to make parenting more convenient, while still preserving tradition. That’s overreaching because I don’t know if we can do both.